I can't recall a time in which I ever anticipated a MAC collection so much. RiRi ♥ MAC Summer is a fairly small collection which consists of five items-a rose gold lustre drop (Barbados Girl), a powder blush duo (Hibiscus Kiss), and three of the most scrumptious lip colors I have ever laid eyes on (RiRi Woo, RiRi Boy, Heaux). I decided to skip on the lustre drops and the powder blush duo, even if they were undeniably gorgeous and highly coveted. It was really the lipsticks I was after. And even though the online ordering process was one I hope to never relive again, I dare to say it was well worth it because the RiRi Woo, RiRi Boy, and Heaux lipsticks are everything, and more! L-R: RiRi Woo, RiRi Boy, Heaux-Loving the signature on the lipsticks! RiRi Woo: Cool Red. I originally missed out on this lipstick when it first debuted a couple of months ago, and I am really glad that I got another opportunity to obtain it. If you are a fan of crisp and clean classic reds, RiRi Woo won't disappoint. Since it's release, RiRi Woo has been highly compared to MAC's Ruby Woo lipstick, which I happen to have in my collection. Although they may look similar-and perhaps they are, I think each lipstick has it's own unique attribute that differentiates it from the other. For starters, texture. RiRi Woo has a much smoother texture than Ruby Woo's stiffer one. 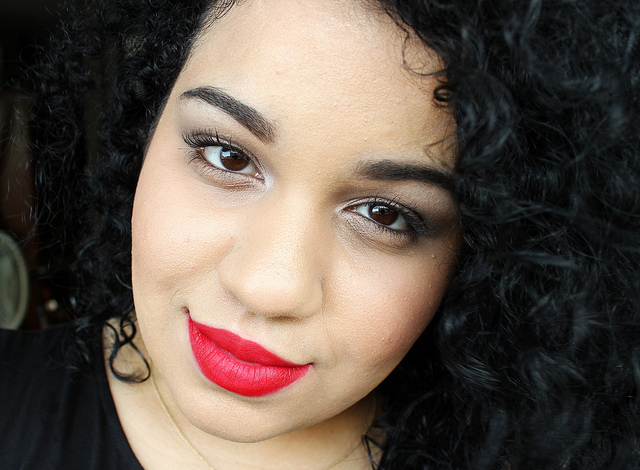 And in my eyes, RiRi Woo is much cooler tone whereas Ruby Woo is warmer. RiRi Boy: Cool Lavender. 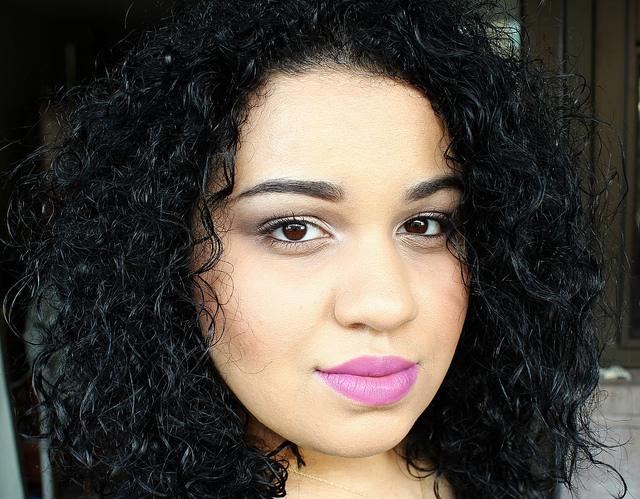 I have always admired the beauty of a purple lip color, even though they are usually out of my comfort zone. But when I first laid eyes on RiRi Boy, it was then and there that I decided to finally break out of my shell and give purple a try. Surprisingly enough, I think RiRi Boy is actually quite a flattering color on me, and I really enjoy it. Along with the dominant purple tone, I also see that this lip color contains a subtle pink hint, which makes it a bit more easily wearable for me. I can honestly say that this lipstick has given me a new-found confidence to rock a purple lip with pride, and I can't wait to experiment with other purple lipsticks. Heaux: Deep Berry Red. I don't think I own a berry red that's as beautiful and striking as this one. 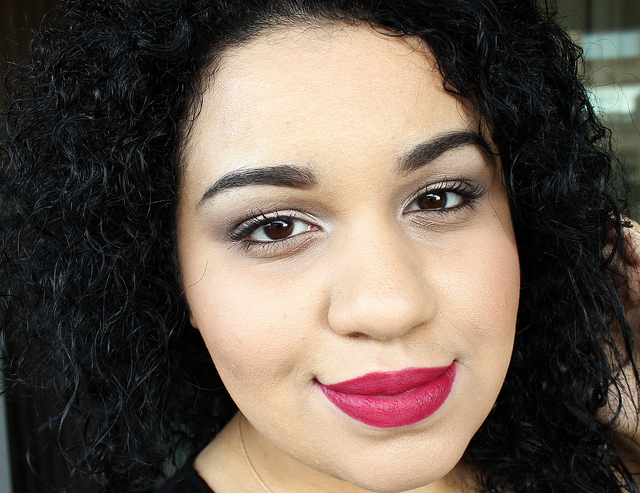 The berry red color is super rich, and it definitely makes me feel glamorous when I have it on. I am really going to have a lot of fun sporting Heaux in the cooler months, as I think it makes for a gorgeous autumn/winter lip color. All three lipsticks contain a retro matte formula, and besides the little bit of tugging I experienced, application went fairly well for the most part. 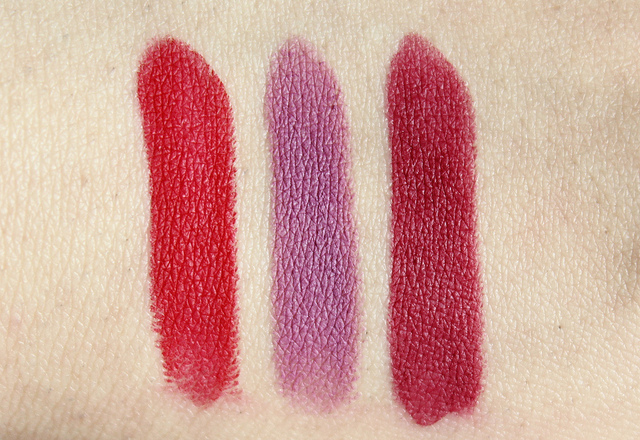 These lipsticks went on nicely, and they each provided a beautiful and opaque color payoff. I have to admit though, my lips have been going through a really good stage lately. They are much softer and not as dry like they usually are. But if your lips do happen to be on the drier side, I strongly recommend properly exfoliating and moisturizing lips prior to application to obtain the smoothest looking results. I really like that these lipsticks don't feel heavy on, or are extremely drying on the lips like most mattes are. So refreshing! 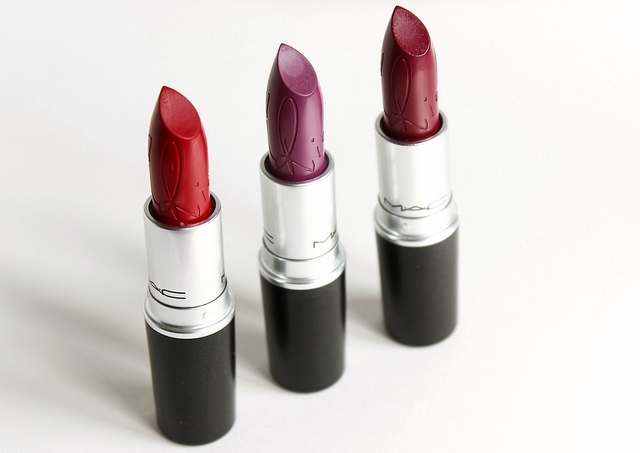 Because of their matte texture, these lipsticks do very well when it comes to longevity. I can get 5-6 hours of full on lip color wear, before I start to see some fading happen. 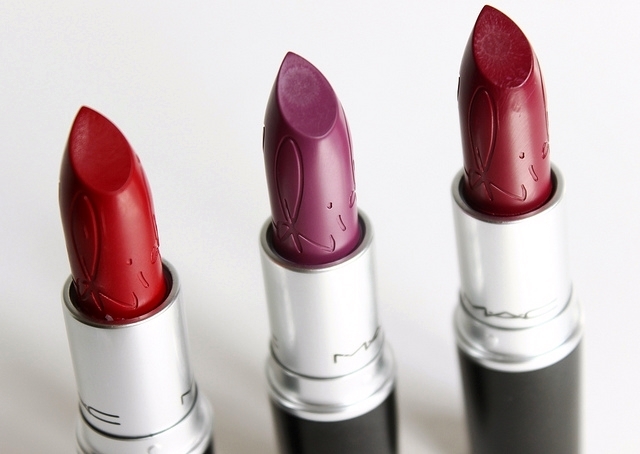 Did you pick up anything from the RiRi ♥ MAC Summer collection? What do you all think of RiRi Woo, RiRi Boy, and Heaux? RiRi Boy is arriving at my doorstep today. It looks great on you! I hope it is as flattering on me. Thanks, CC! I hope you enjoy RiRi Boy as much as I do. It's gorgeous! OMG WOW!!!! These shades are really gorgeous! i don't think I've been this excited about a MAC lipstick collection in awhile! The shades look awesome on you! !